UChicago Maya was one of many dance groups PhiNix Dance Crew invited to its spring Revival showcase. 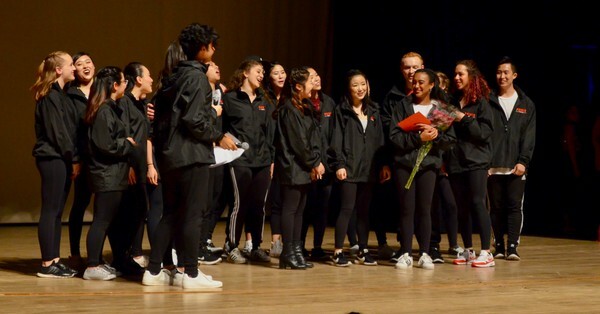 Last Saturday, University of Chicago students and Hyde Park community members crowded into Mandel Hall for Revival, PhiNix Dance Crew’s spring showcase. A mix of nerves and excitement filled the room. As the house lights dimmed, audience members could barely contain their cheers and hollers in anticipation of seeing UChicago’s largest hip-hop group let loose on stage. Supportive cheers from the audience never ceased throughout the show. The dancers reciprocated the enthusiasm of the audience with a consistently high-energy performance. FIA Modern, a dance group from UIC, was a guest in Friday's show. 'As a performer, it's really fun to meet other dancers from outside UChicago, and it's also fun for the audience to experience totally new performances from these outside groups,' third-year Brianna Pinder said. PhiNix’s showcase also featured choreography from four other groups, UChicago Maya, UChicago Bhangra, FIA Modern, and the Electric Funketeers, who performed styles ranging from popping and locking to whacking and freestyle. Together, the groups fed off of each other’s energies, creating an attention-grabbing dance fusion. “As a performer, it's really fun to meet other dancers from outside UChicago, and it's also fun for the audience to experience totally new performances from these outside groups,” third-year Brianna Pinder said. The showcase also featured a variety of music, proving PhiNix could embody hip-hop styles without relying on hip-hop music. A lot of the pieces were danced to pop, electronic, or acoustic songs, with one featuring a live guitar and beatboxer. Other songs were more reminiscent of classic hip-hop, transporting the audience to the streets of Harlem in the ’90s. Now and again, pieces focused more on storytelling, bringing a sense of unique hip-hop humor and lightheartedness to the show. In the opening number, dancers held their cell phones to depict a desire to break free from everyday life; another dance featured various cleaning supplies and janitor costumes to convey an escape from routine.